Our raised-bed vegetable plot has had fruitful moments and not so fruitful moments. The tomatoes were leggy and frugal. The eggplant had lovely purple blooms, but only one actual eggplant. (And what do you do with one eggplant?) The basil was happy and thick, and I’ve frozen several bags of it, dropping several crisply frozen leaves in soup the other night! The scent was wonderful! November 1, 2011 September 30, 2014 The GarnersEasy Green Beans, Easy Roast Chicken, Gardening, Nathaniel Hawthorne, What's Cooking? I had an excellent crop of tomatoes and just picked my last jalapeno peppers on Friday. zuchinni crop–ok. Basil & oregano-great. Green peppers–ok. Corn, green beans, watermelon–all a bust. Oh, well. It’s a learning experience. Next year? Won’t plant what won’t grow. Too much work and heartache! 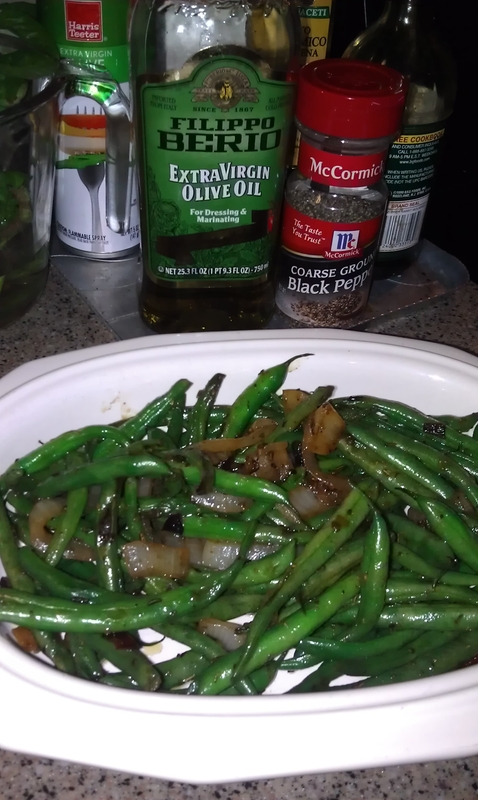 Your green beans sound delish! We were bummed about our tomatoes – last year they were fabulous! Last year we had nary a green bean. The success comes in cycles it seems!